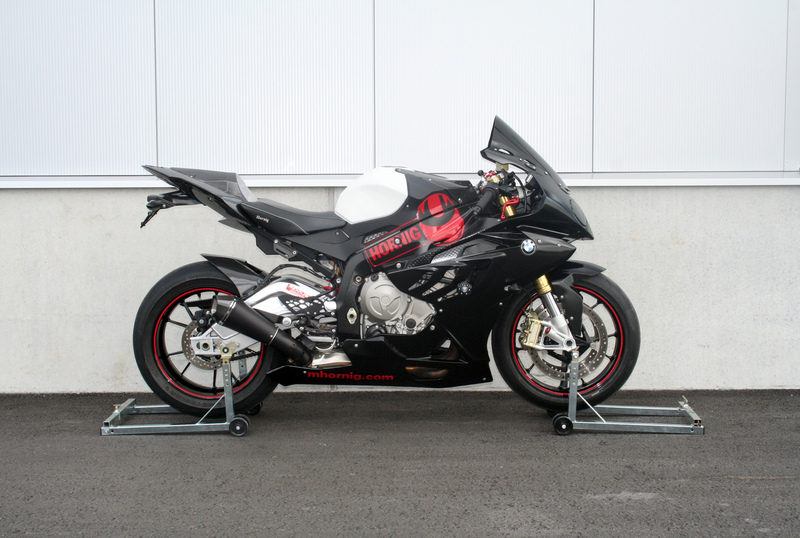 we present our latest BMW S1000RR customization from 2011 here. 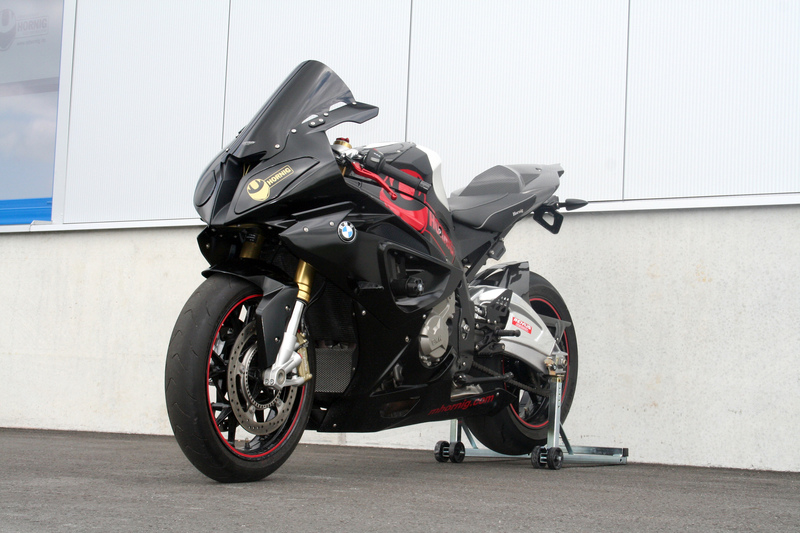 The aim was to supply race optic and race sound possible for street use for your BMW S 1000 RR. 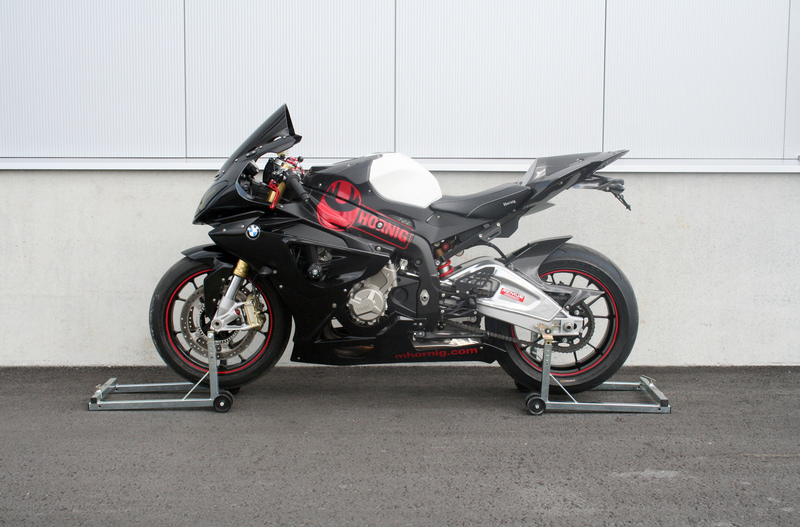 Because of this we developed a GRP front fairing, GRP side fairings, a GRP front fender and a long GRP bellypan which fits also to the original side fairing. All the GRP products have a material homologation and are legal for street use. 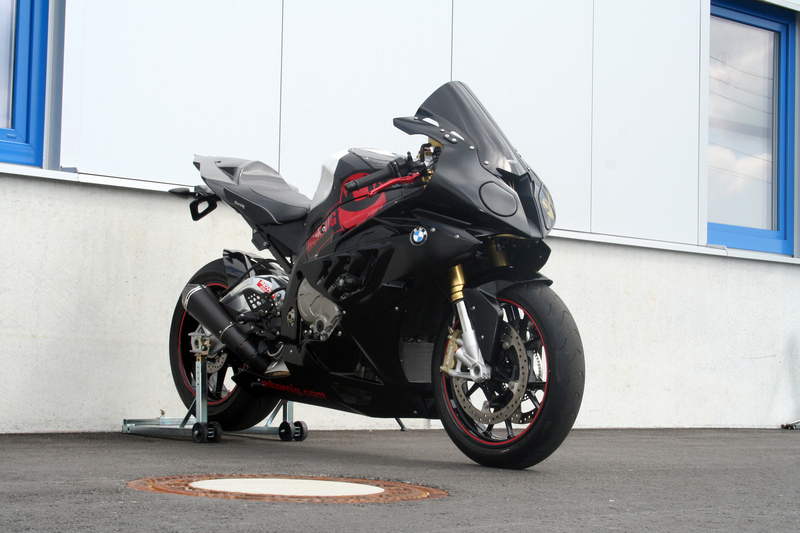 To save weight we used many carbon fiber parts and the necessary is produced by the black AC Schnitzer Stealth exhaust. To be protected when a crash happens we use the approved Gilles crash protectors. 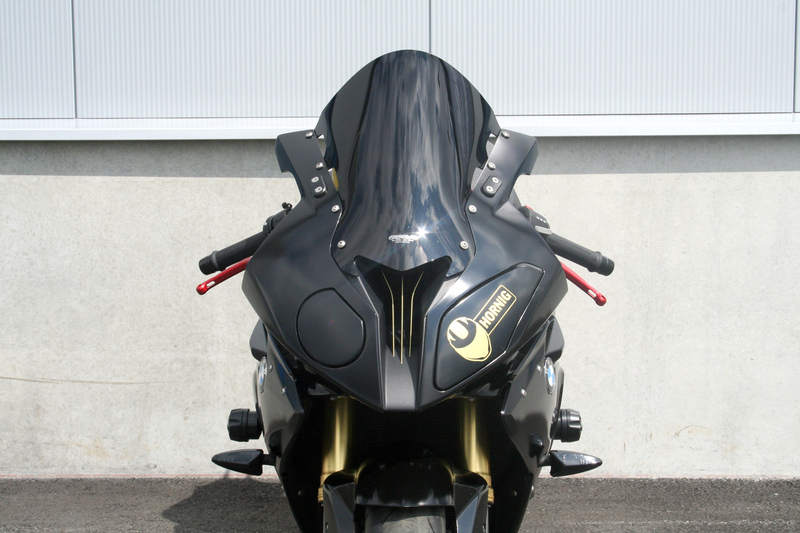 The whole design in completed by a black MRA racingscreen and a black LED tail light. Lots of extra BMW Accessory products show what's possible.